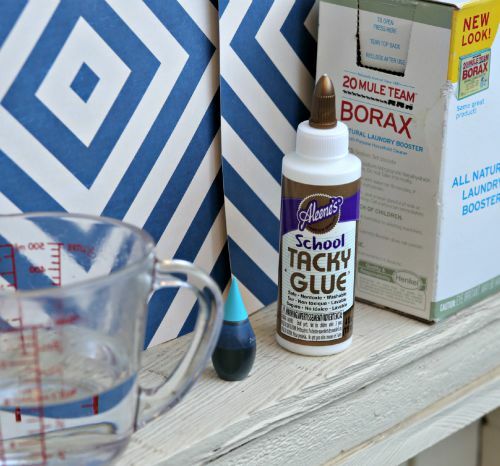 Here's a fun and easy kids' craft that also doubles as a science experiment! 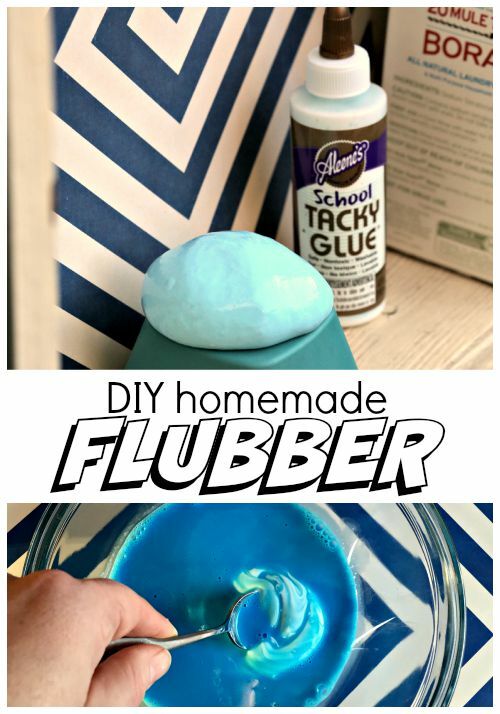 Make homemade flubber (also known as gak) with just a few ingredients and this simple flubber recipe. Come find out how easy this craft is! 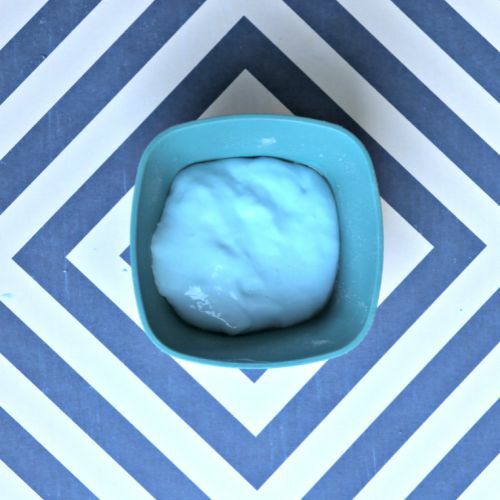 The secret ingredient you'll need to pick up at the grocery store for this project is Borax, which is a laundry soap additive. You can find it in the laundry soap section of your local grocery store. You'll need a bowl and a spoon too! 1. Empty a 4 oz. 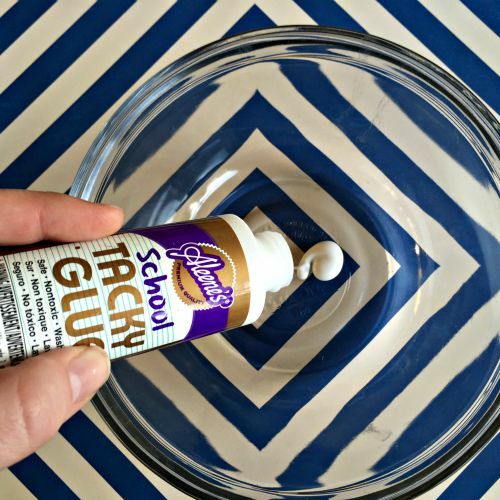 bottle of Aleene's School Tacky Glue into a bowl. 2. Fill the bottle 1/3 of the way with warm water, and replace the lid onto the bottle. 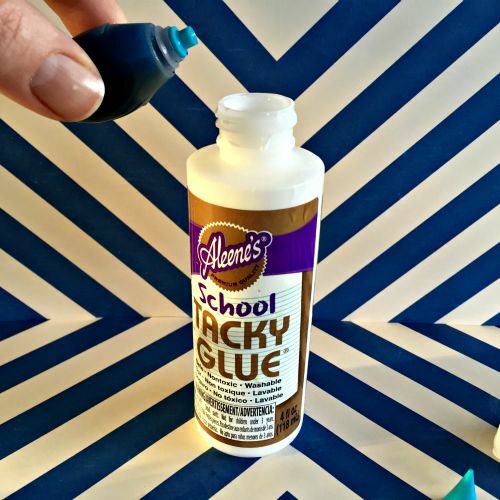 Shake vigorously to help get all the glue out of the bottle. Then fill the bottle all the way up with water. 3. 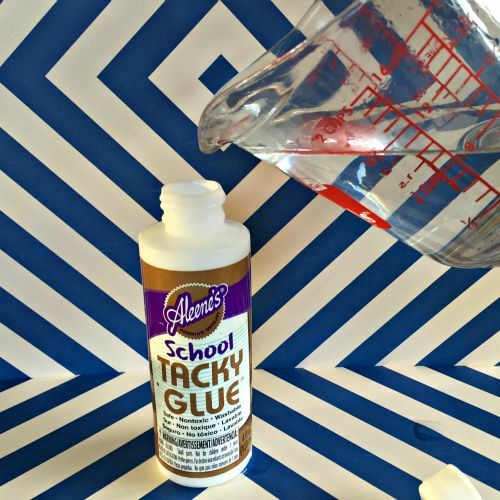 Add a drop of food coloring to the water in the glue bottle. Re-cap and shake to mix. 5. 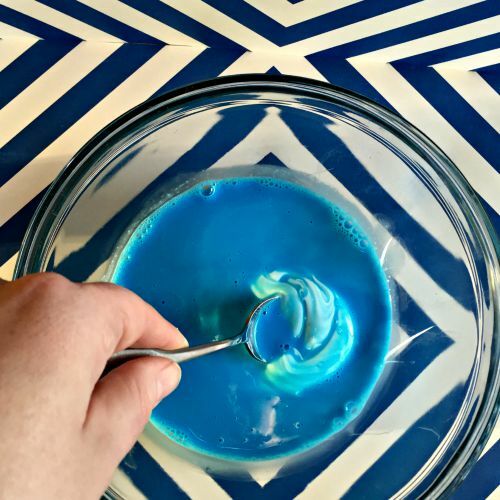 Slowly pour colored water into the glue in the bowl, and mix thoroughly. 6. 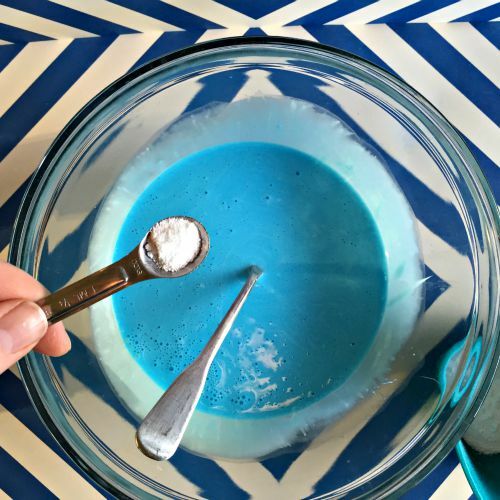 Measure out 1/2 teaspoon of borax and put it into a small bowl. 7. 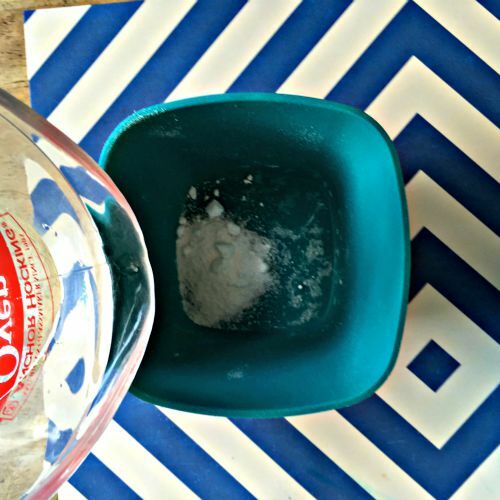 Add 2 oz of water to the borax in the bowl, and mix thoroughly. 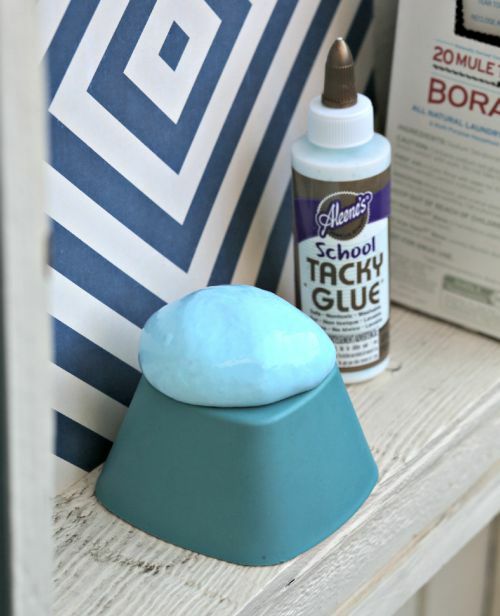 Empty the borax solution into the glue/water bowl and begin stirring immediately. 8. The mixture will begin to form into a ball. Continue stirring until the ball stops growing, then pull the mass of goop out and knead it with your hands for a minute. 9. Discard excess liquid, or add more borax/water solution. Stretch, mix, and play with your new flubber! For more information on the science behind this cool chemical reaction, check out Steve Spangler Science. Fun! My middle child will LOVE this! This is a great sensory project too! I ADORE this stuff...made it a few years ago and need to do it again! Thanks for the great post! I've been wanting to make this. My boys would love it. Can u use homemade liquid starch and glue cause I know how go make my own﻿.